Time again for holiday happenings. Christmas is fast approaching and the Big Guy will be here before you know it!! Take a day or two out from the hectic happenings and come rest and relax at the Rosevine Inn. Come sit by the fire-sip some hot spiced tea-or nice glass of wine. We would love for you to be here. 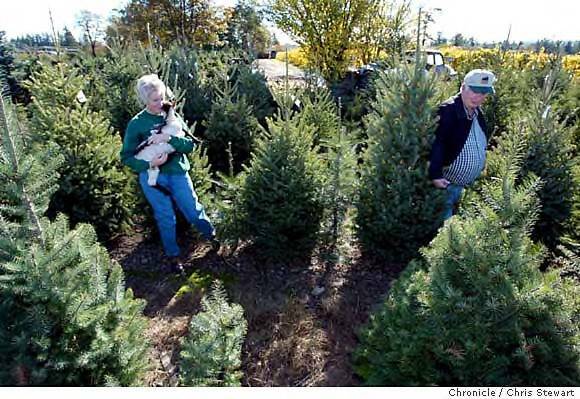 First you must come and get your tree here. There are several spots for cutting down your own tree nearby. 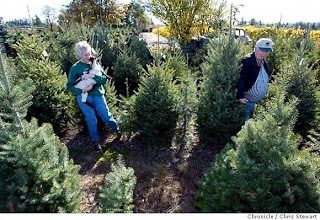 – A choose and cut tree farm with hay rides, treasure trails, picnic tables, drinks, popcorn, peanuts, drinks and hot cider. We also have fresh wreaths, and lots of fresh air and trees. Trail Creek Farm will accept all major credit cards. 18127 CR. 4108, LINDALE, TX 75771 . Phone: 903-882-5746 (farm), or 214-748-4686 Dallas. Email: larry@trailcreekfarmfun.com. For a great family holiday experience, come to Trail Creek Farm and we will try to make it a wonderful time. Directions: To find Trail Creek Farm, go north on hwy 69 about 3 miles from its intersection with I-20. From downtown Lindale, go east on hwy 16 for 3/4 mile. Turn left on FM 2710 and go 200 yards. At the fork on the left, take Cr. 4108. Trail Creek Farm is 3/4 mile on your left. We have a spacious Gift Shop packed with a wide variety of affordable gift ideas and a Snackbar inside our gift shop for our guests to enjoy. 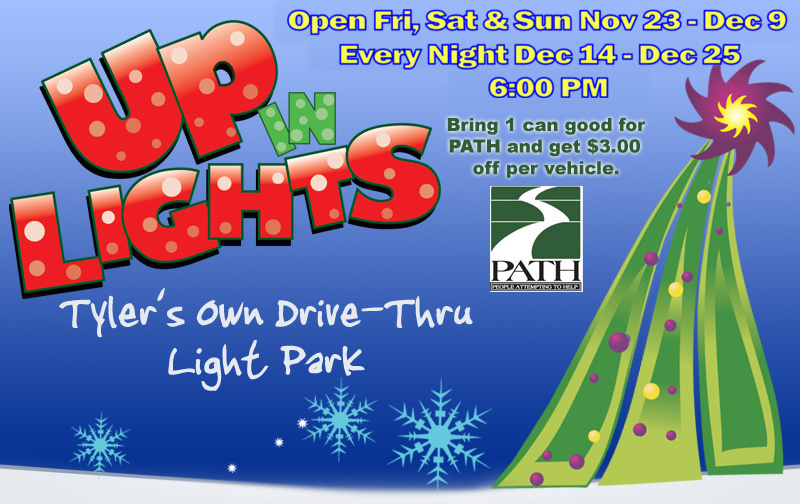 We are a Drive-Thru Christmas Light Park located about a mile outside the Loop 323 and Hwy 155 South, on Old Noonday road. (see map) This is our 8th year to turn on over 1 million lights and scenes to celebrate the Holidays! Our drive is 1 mile long, so you can take your time to view all our beautiful displays! Tune your radio to FM 95.1 & listen to our Christmas music while some of the lights dance to the tunes! $15 Per car or truck. Did you get all shopping done at Canton Trade Days? Now it is time to enjoy yourself. 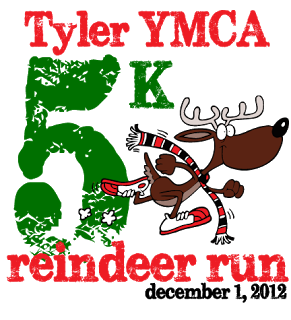 You can shop in Tyler if you still have a list that you have checked twice!! 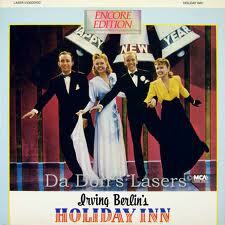 We have had cancellations and now have rooms available! Come stay with us at The Rosevine Inn B&B. 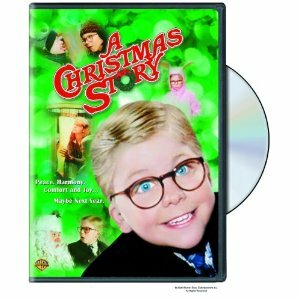 Ralphie, a young boy growing up in the ’40’s, dreams of owning a Red Rider BB gun. He sets out to convince the world this is the perfect gift. But along the way, he runs into opposition from his parents, his teacher, and even good ’ol Santa Claus himself. 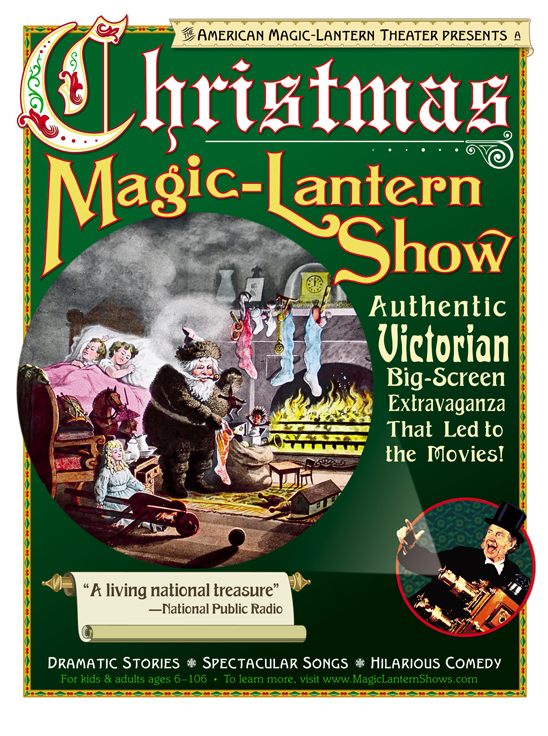 Travel back in time with the boisterous fun of America’s only Victorian magic-lantern show. 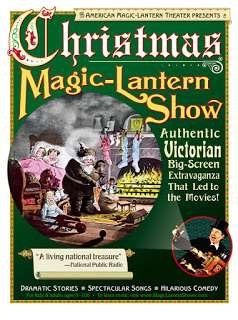 An authentic 1890’s visual extravaganza projected on a full-sized screen – the kind of show that led to the movies! Christmas stories like Scrooge, The Little Match Girl and the The Night Before Christmas; animated comedy; and songs – all dramatized on screen by a live showman and singer/pianist. The audience participates in the fun, creating sound effects, and joining in chants and sing-along carols. Great show for families and all ages to enjoy! George Bailey has spent his entire life giving of himself to the people of Bedford Falls. He has always longed to travel but never had the opportunity in order to prevent rich skinflint Mr. Potter from taking over the entire town. All that prevents him from doing so is George’s modest building and loan company, which was founded by his generous father. But on Christmas Eve, George’s Uncle Billy loses the business’s $8,000 while intending to deposit it in the bank. Potter finds the misplaced money and hides it from Billy. When the bank examiner discovers the shortage later that night, George realizes that he will be held responsible and sent to jail and the company will collapse, finally allowing Potter to take over the town. Thinking of his wife, their young children, and others he loves will be better off with him dead, he contemplates suicide. But the prayers of his loved ones result in a gentle angel named Clarence coming to earth to help George… Tickets are $7.00 online or cash only at the door. The music of Robby Hecht is reminiscent of the early 70’s golden era of acoustic pop, when thoughtful, well-crafted lyrics were blended with timeless melodies to impact mainstream music and culture. Robby’s melodic and captivating songs don’t shy away from the complexity of human relationships even as he delivers them with a smooth tenor that evokes both sorrow and hope. 13+ or with an adult, please. 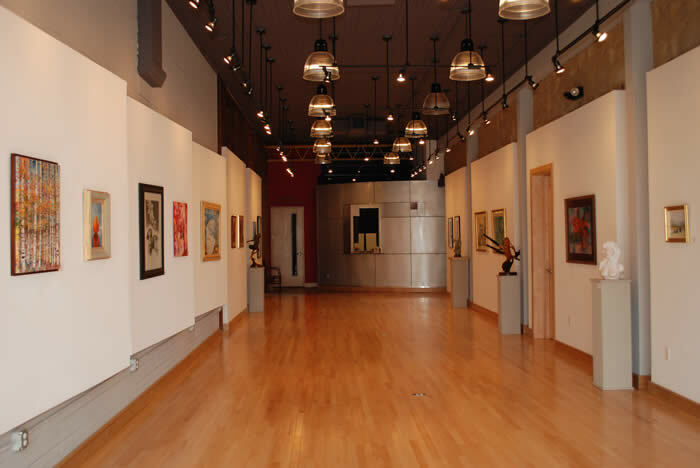 Join us at Gallery Main Street for light refreshments, live music, and plenty of art as we welcome our newest exhibition which will showcase works of art by our Fine Arts Jury. This event is free and will be on display through Jan. 15, 2013. ‘Twas the Lights Before Christmas will transform the East Texas State Fairgrounds into a nighttime holiday wonderland of wintery surprises and all things Christmas, filling guests’ senses with seasonal sights, sounds and flavors, and creating a beautiful new tradition for east Texas families. The East Texas State Fair’s most familiar fans will barely recognize the portions of the fairgrounds that convert to ‘Twas the Lights Before Christmas through special entertainment, live music, festive treats, holiday shopping and thousands and thousands of twinkling Christmas lights. We are open December 7-9 & December 13-16, 5:30pm until 9:30pm each night. 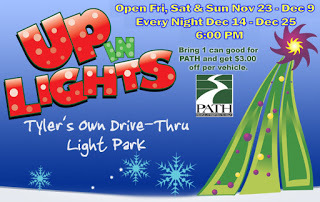 •General admission for ‘Twas the Lights Before Christmas is $5.00 for all ages. Tickets are available at the door. Enjoy the sounds of the holidays at the Tyler Youth Orchestra Free Family Christmas Concert. This entry was posted in Uncategorized and tagged Canton Trade Days, Liberty Hall-Tyler, Rosevine Inn, Shopping, Tyler Things to do, www.downtowntylerarts.com by admin. Bookmark the permalink. After reading this blog I'm not surprised that "Tyler Texas Bed and Breakfast" are the best B&B in their area. A really festive blog thanks for the post. I visited Tyler in Texas towards the back end of 2012 and this post helped me plan what to do!